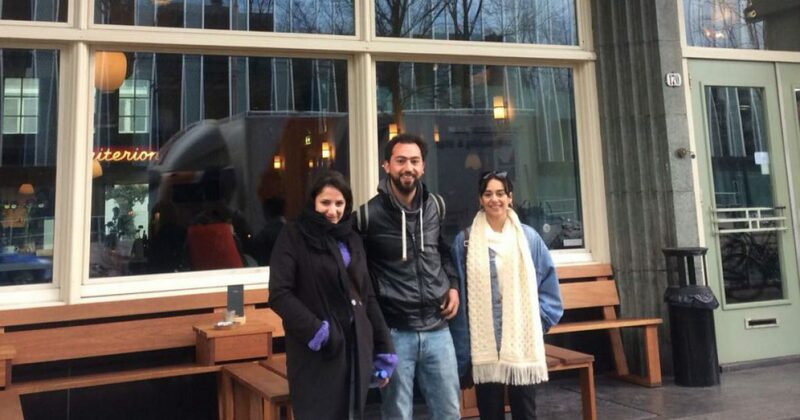 From 20 to 26 of March 2018, three of the four team members of Kriterion Ramallah visited us in Amsterdam. 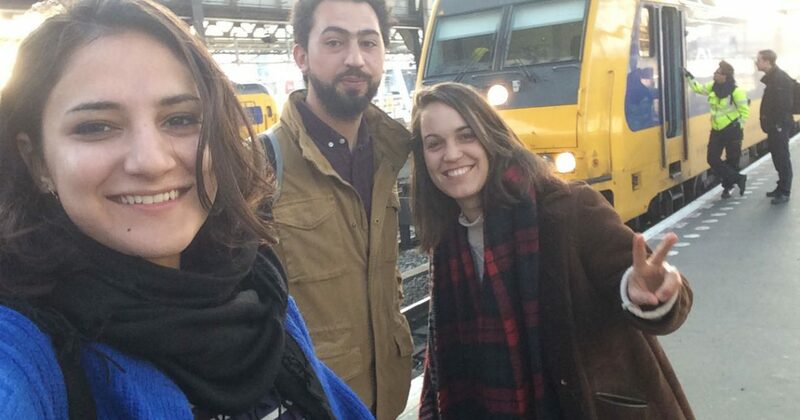 Over the course of six days, Amal, Rabee and Hadeel immersed themselves in the Kriterion projects. They also received multiple trainings, in order to gain knowledge and inspiration which they can take home and use in the process of setting up their own cultural enterprise in their city Ramallah. One the focus points was getting to know the Kriterion concept and the Amsterdam-based Kriterion projects and meeting the students working there. During the exchange week, the students got to know about all the different projects and studentlife in Amsterdam. The team also received trainings from SPARK, BKB Campagnebureau, Movies that Matter and Marianne Aal in which they learned more about business practices, cultural programming and campaigning. The first ideas for their own Kriterion project were written down on paper and the next steps to take became more clearly. Another focus point for the new team was teambuilding and getting to know each other, and everyone’s ideas and thoughts, more. 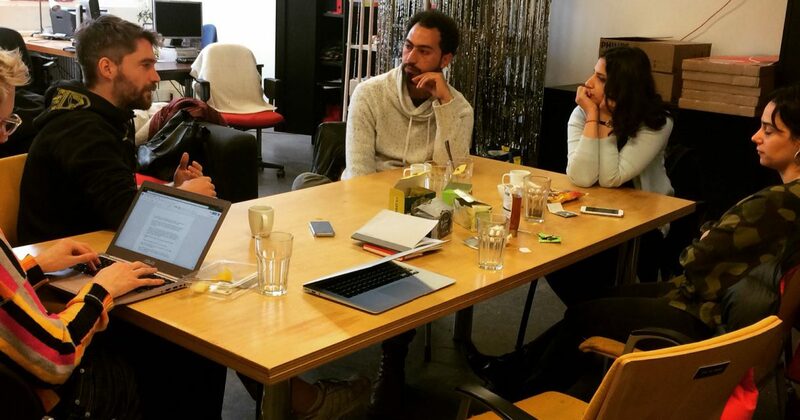 It has been a great, productive and also fun week, and we can’t wait to hear more about the following steps the team in Ramallah is going to take in the coming months. They will start working on a market research and also start organizing some small cultural events in their city. We’re looking forward to working together and hopefully we’re meeting each other again soon. To be continued!